The prime minister of Iceland said he is not resigning after reports of him stepping down circulated on April 5. Prime Minister Sigmundur David Gunnlaugsson said he stepped aside for an “unspecified” period, according to The New York Times. The Icelandic government has been caught up in turmoil after the Panama Papers revealed that Gunnlaugsson and his wife set up a secret offshore company in 2007. After the revelations, thousands protested in the nation’s capital, calling for the prime minister’s resignation. Gunnlaugsson had called for the dissolution of the parliament and for an early election. But the president of Iceland, Olafur Ragnar Grimsson, rejected his request, saying that he needed to discuss the decision with other party leaders. After reports emerged that the prime minister had resigned on April 5, his office released a statement that night, saying he had not stepped down. “The prime minister has not resigned and will continue to serve as chairman of the Progressive Party,” the statement said, according to the The New York Times, while crediting the government with helping lift up the economy after the nation’s debt crisis eight years ago. Gunnlaugsson had vowed not to resign after the Panama Papers implicated him and his wife. “I certainly won’t (resign) because what we’ve seen is the fact that, well, my wife has always paid her taxes. We’ve also seen that she has avoided any conflict of interest by investing in Icelandic companies at the same time that I’m in politics,” he told Reuters TV. “And finally, we’ve seen that I’ve been willing to put the interests of the people of Iceland first even when it’s at a disadvantage to my own family,” he added. Gunnlaugsson denied any wrongdoing by setting up a British Virgin Islands shell company, called Wintris Inc., through Panama law firm Mossack Fonseca. 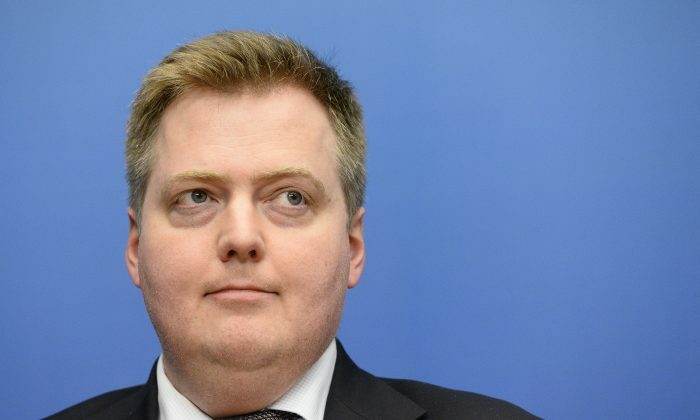 Gunnlaugsson failed to disclose the company when he entered parliament in 2009. The prime minister of Iceland resigned on April 5 after the Mossack Fonseca data leak revealed he had a secret offshore company in Panama.